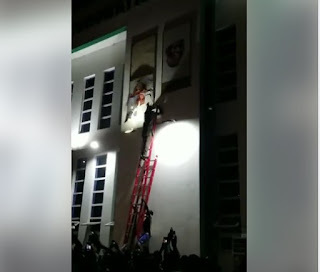 Angry supporters of the All Progressives Congress (APC), destroyed the portrait of the Emir of Kano, Muhammadu Sanusi II, at the Kano government house yesterday after accusing him of supporting the opposition Peoples Democratic Party (PDP) in the supplementary election. 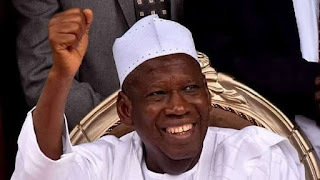 The Independent National Electoral Commission (INEC), had on Sunday night, announced the incumbent governor, Dr Abdullahi Umar Ganduje, as the winner of the governorship election in Kano State, thereby returning him for a second term in office. 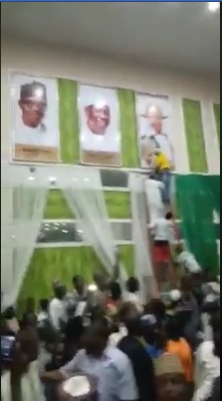 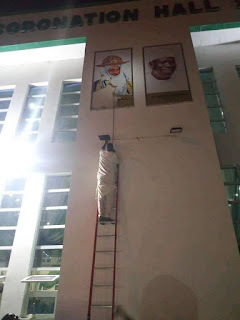 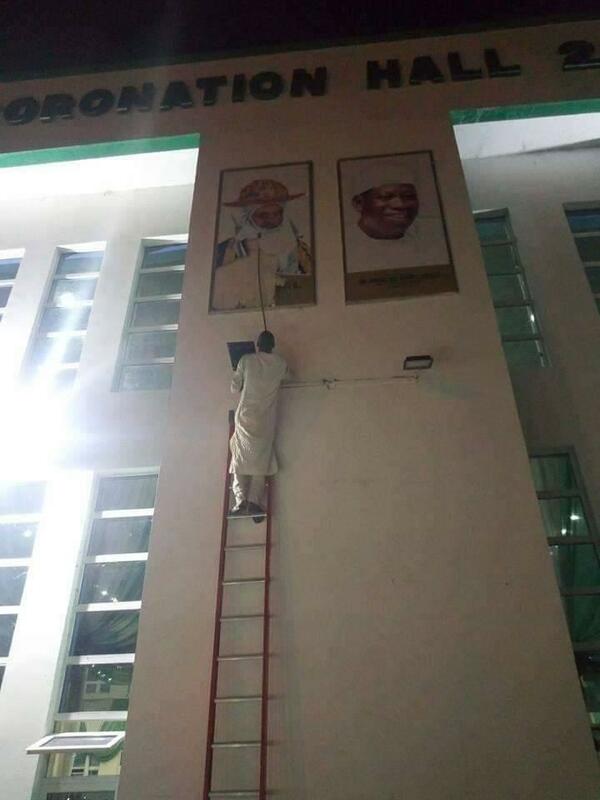 The supporters of governor Ganduje used ladders to climb the coronation hall in the government house to remove the portrait/picture of the monarch to show their displeasure with him.